We had a little reunion of some of our old art group members (did I ever even post anything about that…hmm, maybe not) and it was a rockin’ wild time. Eleven kids, two babies and seven adults in our tiny house, plus paint, toys and a short dance party = good fun. 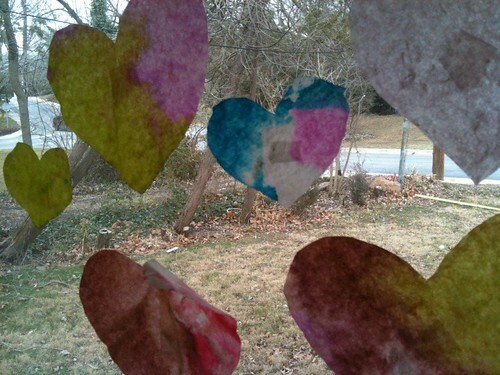 We did an easy little project with coffee filters cut in the shape of hearts colored with liquid watercolors. The kids and I tried this out earlier in the week, twice actually. 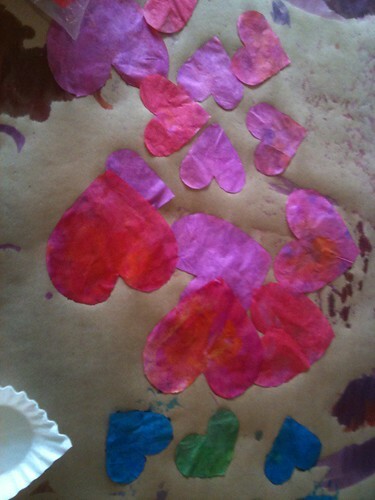 The first time we diluted the liquid watercolors with water and it made very pale pink hearts. 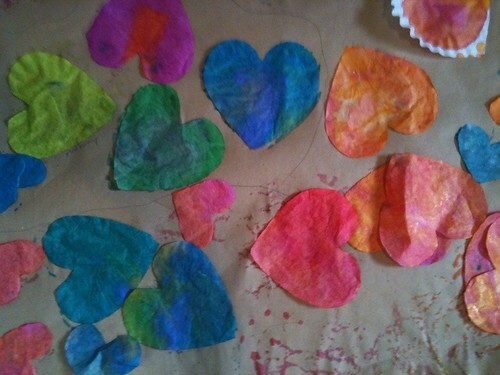 The second time we used full strength watercolors and the hearts were much more vibrant. 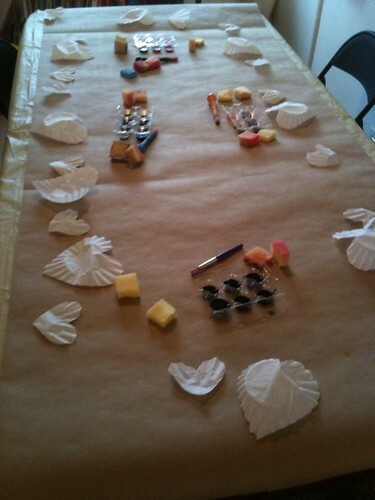 We taped them up in the window, next to the coffee filter snowflakes a la The Artful Parent. All in all the house looks very festive, especially since there is still a good bit of pink streamer from the big girl’s birthday above the window. Here are a few shots from today, didn’t get any action shots because I was too busy trying to keep the watercolors off the carpet as much as possible.